Shinichi has toured throughout the US and Canada with Greg Piccolo of the Grammy nominated band Roomful of Blues as a keyboardist and musical director since 1999. He was also the pianist for the musical RENT and "Talent Show" with Tommy Tune. Other performances include collaboration with Jaimoe of the Allman Brothers Band, Jay Geils, Jean Carne, Ronnie Earl, Duke Robillard, Michelle Willson, and the comedian Marty Allen. Shinichi has performed in venues such as the W.C. Handy Award, B.B. King in NY, Tipitina and Snug Harbor in New Orleans, House of Blues in Las Vegas, Hatch Shell, Sculler's Tones club and Regatta Bar in Boston, as well as numerous Jazz and Blues festivals. Shinichi holds a BM from the Berklee College of Music in Boston, MA, in piano performance. He is trained to play and teach blues, jazz, pop, R&B, and classical styles, and has experience since 2003 teaching in the Boston/MetroWest area from beginning students to advanced. 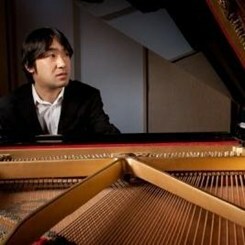 He is also a piano faculty member at Berklee College of Music for the "Piano/Keyboard Workshop". From Shinichi - "I like students to learn fundamentals, eventually learning how to be able to teach themselves and discover new music from my lessons." Request Lessons with Shinichi today!